Marshall (Hal) Hatch has co-authored over 157 publications on plant biochemistry and physiology and is best known for co-discovering the C4 photosynthesis process of plants. Hatch was appointed Member of the Order of Australia (AM), a Fellow of the Royal Society and the Australian Academy of Science and a Foreign Associate of the National Academy of Sciences, USA for his contributions to plant research. Marshall Hatch was born in Perth, Western Australia on Christmas eve, 24 December 1932 to Lloyd Davidson Hatch and Alice Hatch (nee Dalziell). His father was an accountant with AMP, starting in Perth and moving to the Sydney Office in 1947 where he remained until his retirement as a Senior Executive. Marshall’s primary education was at Applecross Primary School, Perth followed by a year at Wesley College in Perth before moving to Sydney where he attended Newington College in Stanmore. ‘It would be nice to say that in my formative years I excelled academically and wondered incessantly about how living organisms worked. Instead, the truth is that I was a very ordinary student and thought little about biology other than having some curiosity about girls. In primary school in Perth (Western Australia) I never did better than 12th in the class and there were comments on my report cards such as ‘behaviour not as good as geography’ which I didn’t do specially well at, but happened to enjoy’. The family moved to Sydney in 1947 when he was 14 and he completed the last four years (1947-1950) of his High School education at Newington College, Stanmore (Sydney), NSW. He writes that although he did well academically, the highlights of his High School period were making the First XV Rugby Football team and winning the State under 17 years mile championship. Newington was one of the GPS Schools in Sydney and rugby contests against other Sydney-based GPS Schools – Scots College, Shore, St Joseph’s College, St Ignatius’ College (Riverview), Sydney Boys High, Sydney Grammar School and The King’s School were big events. He completed his BSc with honours, majoring in chemistry and biochemistry, from the University of Sydney in 1954. Despite biochemistry being in its infancy at that time, he found the subject fascinating, with lots of speculation and so much to be discovered. This appeal was heightened by the lectures in plant biochemistry given at Sydney University in 1953 by F.R. 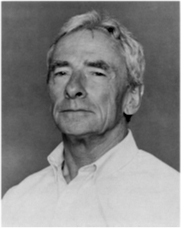 (Bob) Whatley who later, at the University of California, Berkeley, made outstanding contributions to photosynthesis research before being appointed to a Chair at Oxford. Hal’s average examination performance only just got him approval for an extra ‘Honours‘ year and he chose a research project in the area of plant biochemistry with Adele Millerd as his supervisor. She had just returned from the United States where she had been involved in some of the very early studies on plant mitochondria. She was also a great enthusiast and so consolidated his dedication and commitment to plant biochemistry in particular. As he recalled: ‘My research project concerned aspects of respiration including the cyanide-insensitive respiration of the spadix of what I thought to be the lily, Arum maculatum. After four months of work, and some odd results, I got my material classified – Zantadeschia aethiopica – a useful lesson’. On graduation he joined the CSIRO Plant Physiology Unit which, in 1950, had been set up within the Botany School at Sydney University and run jointly with that School, to study the physiology of plants including fruit and vegetables. The Unit was led by Rutherford Ness (Bob) Robertson (later Sir Robert) who had previously been head of a group in the CSIRO Division of Food Preservation and Transport, a Division concerned with basic and applied aspects of fruit and vegetable storage. There Hal was allowed to undertake studies for a PhD while on a normal salary. His supervisor was J.F. (John) Turner and his project involved the resolution of the mechanism of a ‘Pasteur Effect‘ seen in a pea seed extract. The ‘Pasteur Effect‘ gets its name from Louis Pasteur’s discovery, in 1861, that the presence of oxygen inhibits the consumption rate (fermentation) of glucose by yeast while stimulating yeast cell growth. In the absence of oxygen, yeast consumes more glucose than it does in the presence of oxygen. Hal Hatch and John Turner resolved the ‘Pasteur Effect‘ mechanism in their plant seed extract and discovered a unique NADH-dependent protein disulphide reductase (the first of several of enzyme discoveries that he was to be associated in the years to follow). Hal was awarded his PhD from Sydney University in 1959. In 1959 he was awarded a Fulbright Fellowship to work with Professor Paul Stumpf in the newly formed Department of Biochemistry at the University of California, Davis on the enzyme acetyl-CoA carboxylase, and discovered its transcarboxylating activity. As Hal recalled: ‘Paul Stumpf taught me a great deal, including the value of perseverance in research and the reward of staying with one research field and following it right through; both lessons of great value later’. After two years in California he returned to Australia having agonised over whether to re-join CSIRO in Sydney or take up an offer of a position in Brisbane at the new David North Plant Research Centre set up by the Colonial Sugar Refining Company. He chose the latter. The main purpose of the David North Plant Research Centre was to investigate the basic biochemistry and physiology of sugarcane and the sugar storage process. The research group headed by K. T. (Ken) Glasziou, a colleague from Hal’s undergraduate days, did a good deal of pioneering work on sugar transport and metabolism. During follow-up studies on the mechanism of sugar storage, John Hawker and Hal discovered the enzyme sucrose-P phosphatase which was later to prove to be also important in sucrose formation in leaves. At CSR Co. Marshall Hatch and Roger Slack established the existence of a modified version of photosynthesis which they named the C4 dicarboxylic acid pathway of photosynthesis, abbreviated later to the C4 pathway or C4 photosynthesis. They confirmed an earlier report that in sugar cane, the first products of photosynthetic CO2 assimilation were the C4 dicarboxylic acids malate and aspartate not the C3 molecule 3-phosphoglyceric acid. The carbon assimilated into these C4 acids was then transferred to 3-phosphoglyceric acid and metabolized by the classical Calvin (PCR) cycle reactions, converted into hexose phosphates and other intermediates and finally into sucrose and starch (see The Discovery of C4 Photosynthesis). In 1967 Hal spent a one year sabbatical, 1967, as Reader in the Botany Department of the University of Queensland before returning to the David North Plant Research Centre, CSR Co. Ltd in Brisbane as Head of the Biochemistry Section. identification of all but one of the ten key enzymes specifically involved in the C4 pathway, including two novel light-regulated enzymes never described before. studies on the fluxes of metabolites between cells. At CSIRO Marshall Hatch and his colleagues showed that the sequential C4 and C3 reactions were physically separated, with the initial C4 reactions occurring in mesophyll cells and the Calvin cycle reactions in bundle sheath cells. In addition they confirmed that the function of the special reactions of C4 photosynthesis is to concentrate CO2 in bundle sheath cells for fixation by the Calvin cycle (see The Discovery of C4 Photosynthesis). Marshall Hatch has received many honours and awards for his ground-breaking research in plant biochemistry, the most outstanding being his election as a Fellow of the Royal Society and his receipt of the International Prize for Biology. The latter is an annual award for outstanding contribution to the advancement of research in fundamental biology. The prize is one of the most prestigious honours a natural scientist can receive. The International Prize of Biology was created in 1985 to commemorate the 60-year reign of Emperor ShÅwa of Japan and his longtime interest in and support of biology. The prize is managed by the Japan Society for the Promotion of Science. The laureate is awarded a beautiful medal, 10 million yen, and an international symposium on the scientist’s area of research is held in Tokyo. The prize ceremony is held in the presence of His Majesty the Emperor of Japan. He served as President of the Australian Society of Plant Physiologists from 1980-1981. 2001 Centenary Medal, Commonwealth of Australia – for service to Australian society and science in biochemistry and physiology. 1991 International Prize in Biology, from the Japan Society for the Promotion of Science ‘for his contributions to the plant sciences. The topic in 1991 was Functional Biology of Plants. 1981 Member of the Order of Australia (AM) – for public service in the field of plant metabolism. 1959-61 Fullbright Fellowship in the Department of Biochemistry, University of California, Davis, California, USA. Hatch MD, 1992, ‘I can’t believe my luck’, Photosynthesis Research, 33: 1-14. Alafaci A, 2011, Hatch, Marshall Davidson (1932-), Encyclopedia of Australian Science [http://www.eoas.info/biogs/P000483b.htm].